unethical maneuvering of fluoridation promoters. Since at least 1985 the Environmental Protection Agency (EPA) has been defending water fluoridation against all science adverse to that program while touting its adherence to scientific integrity. Today EPA has one more chance to atone for decades of hypocrisy. 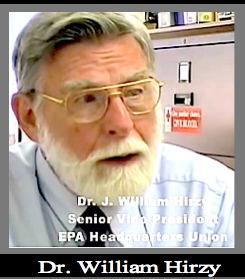 In 1985, after learning from scientists and citizen fluoride-fighters like Albert Burgstahler PhD, John Yiamouyiannis PhD, Martha Beavis, Carol Patton, and others that EPA’s proposed drinking water standards were based on fraudulent scientific analysis, Bob Carton, PhD – father of EPA’s scientific integrity program, such as it is today – took me with him to meet with the Director of EPA’s Office of Drinking Water. We asked for a seminar with the outside authors of EPA’s fluoride standards so EPA employees could comment on them. They flatly refused, revealing for the first – but not the last – time how little EPA cared about scientific integrity regarding health risks from exposure to fluoride. (See FANtv on FAN’s website for several interviews with both Dr. Hirzy and Dr. Carton). In 1990, EPA even went as far as to fire Bill Marcus, PhD, senior toxicologist in the Office of Water, for his refusal to remain silent about fluoride’s ability to cause cancer. With the support of citizens and the EPA’s labor union, National Federation of Federal Employees Local 2050, Dr. Marcus fought back, sued EPA and won (see yesterday’s bulletin and the videotape Fluoridegate: An American Tragedy, produced by David Kennedy, DDS, offered today for a donation of $12 or more, or as one of the premiums in the fundraiser). In the 1990’s, the EPA union authorized Drs. Carton and Hirzy to work with citizen fluoridation fighters to fend off the unethical maneuvering of fluoridation promoters. In 1997, the union voted to formally oppose mandatory fluoridation in California. In 2000, the union succeeded in getting EPA to adopt its “Principles of Scientific Integrity.” But sadly, these turned out to be only words on paper. It did not change EPA’s dogmatic and unscientific support of the fluoridation program. However, it did trigger other unions joining the NTEF in opposing fluoridation. In 2006, a coalition of 12 EPA unions asked EPA to support a moratorium on fluoridation based on the science showing fluoridation increased the risk of young boys developing bone cancer (Bassin et al., 2006). EPA, for reasons yet to be explained, once again defended the Public Health Service’s fluoridation program by stonewalling this union initiative. Such a statement clearly indicates that the EPA is willing to violate the mandates of the Safe Water Drinking Act. This requires them to determine asafe level for contaminants in the water supply, of which fluoride is one. Such safety determinations should not be compromised by other considerations such as any “perceived benefits” for protecting teeth from decay. In short, the EPA should not be working hand in hand with the HHS to protect the fluoridation program. It should certainly not be putting such an aim above its mandate to protect the health of the American people. Furthermore, the EPA’s claim that the most sensitive end point for the determination of the MCLG was severe dental fluorosis flies in the face of the many studies that indicate fluoride is neurotoxic. EPA was only able to make this rash and unprotective decision by completely ignoring all the IQ and other human studies that FAN and others had been sending them. 2012. With the Harvard’s meta-analysis of 27 IQ studies (Choi et al., 2012), fluoride’s effect on the child’s developing brain was brought out into the open. This effect is widely recognized as real, requiring action. Action is what we (myself and other independent scientists) are taking – in the form of a risk assessment showing that fluoride exposures at current levels, even before considering water fluoridation, are probably damaging brains of children. In 2014, after the FAN conference held in DC in September, Chris Neurath (FAN’s science director), Quanyong Xiang (author of one of the most important IQ studies from China), Paul Connett and myself, presented this information (including the results of a detailed risk assessment) to current Office of Water officials and received an encouraging response. It remains to be seen whether EPA will take this opportunity to finally live up to its Principles of Scientific Integrity and fulfill its mission of protecting public health. This will involve admitting that their choice of severe dental fluorosis as the most sensitive end point of fluoride’s toxicity in their determination of a new MCLG [Maximum Contaminant Level Goal] for fluoride is just not tenable. Let’s be clear about this, in several of the Chinese studies many children with lowered IQ have exhibited milder categories of dental fluorosis, then the severe form chosen by the EPA. Thismust make the lowering of IQ a more sensitive end point than severe dental fluorosis. If the EPA has the integrity to admit this, good on them. If not, they should be prepared for a fight to the finish from independent scientists and citizen fluoride fighters alike. We cannot afford to lose the battle for integrity. After earning B.S. and Ph.D. degrees in chemistry from the University of Missouri, Bill worked 19 years at Monsanto as a research and development chemist and environmental manager. During all that time he was also a political and environmental activist. In 1981 he joined EPA, helped organize the professionals’ labor union and served several terms as president. Along with Bob Carton and Bill Coniglio, he worked to get EPA to adopt its Principles of Scientific Integrity. Bill worked with citizens to fight against indoor air pollution, and he followed in Bob’s footsteps as union lead on efforts to have EPA and others recognize toxic effects of fluoride. During virtually all his career he taught chemistry as an adjunct professor, then as a full time faculty member at American University upon his 2008 retirement from EPA. He now represents the American Environmental Health Studies Project/FAN in Washington D.C.